I was reviewing my statistics on my commercial site yesterday. I have sold more prints than t-shirts but have made more money from apparel than from prints. This T-Shirt of Jon Luc Ponty is my second largest selling T-Shirt after Zappa Hope and you can purchase it here. Saw him play with RTF a couple of years ago and he hasn’t lost a lick. We met this guy on the road in California years ago on our way to Las Vegas. He spent his time following different bands around the country and was at a rest stop going to a Moe concert. I always wondered about people who basically spent their lives doing this. Do they work? How to they afford to have this lifestyle? 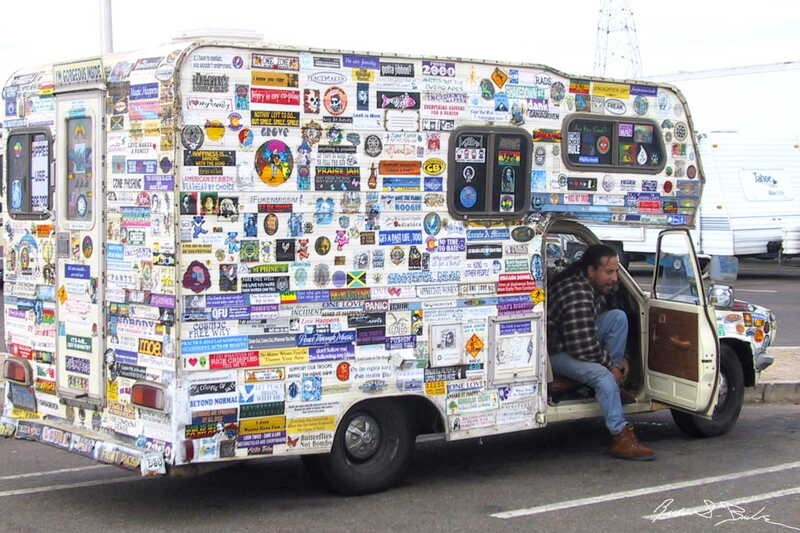 In any case his camper van did not have room for another sticker. You can see more of my photojournalistic work on my commercial gallery.